Basketball Manitoba is pleased to announce that another 17 schools have been added to Emily's visit schedule beginning April 2 and continuing through to May. By the end of April, Emily's school visits will have reached over 16,000 students at 60 different schools. The list of the 3rd round of school visits can be seen below and will continue to be updated to just after spring break. The opportunities to have Emily visit your school is at capacity until potentially after spring break. Schools interested in being added to our waiting list for future opportunities can complete THIS FORM. 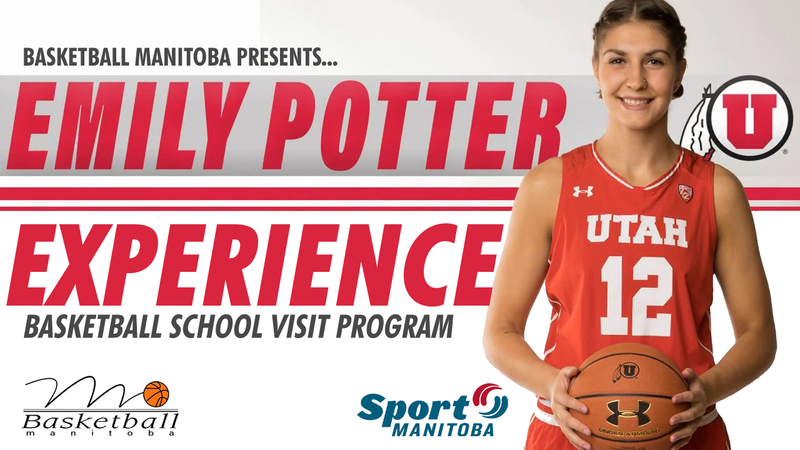 Basketball Manitoba is pleased to announce a new opportunity for elementary and middle schools in the greater Winnipeg area to a part of a new outreach program led by professional basketball player and Canadian National Team member Emily Potter. Emily is one of the most successful basketball players to come out of Manitoba and is now able to get involved with Basketball Manitoba with this new in-school opportunity for schools to take advantage of at NO COST TO THE SCHOOL. 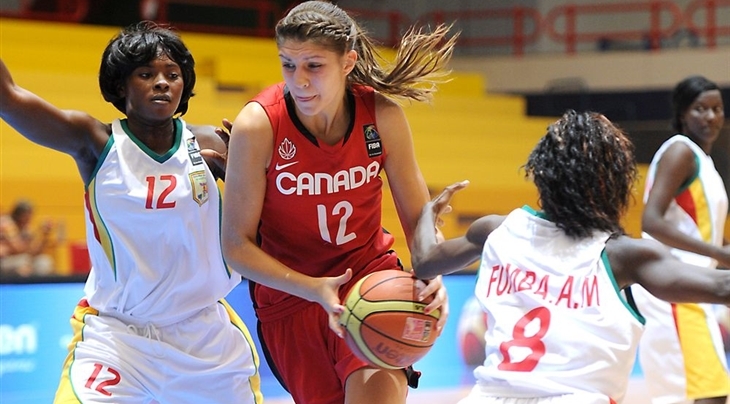 Emily began her basketball career in grade 7 at Samuel Burland School in Winnipeg's St. Vital area. From there, she had a successful 3 years at Glenlawn Collegiate where she was named the AAAA Girls Manitoba Player of the Year in 2013. 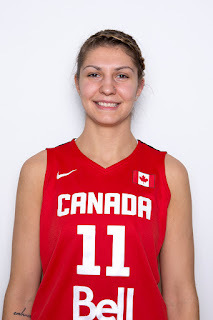 Over this time, Emily was a member of the Canada Basketball Centre for Performance Program in Manitoba and a member of the Manitoba Provincial Team Program. 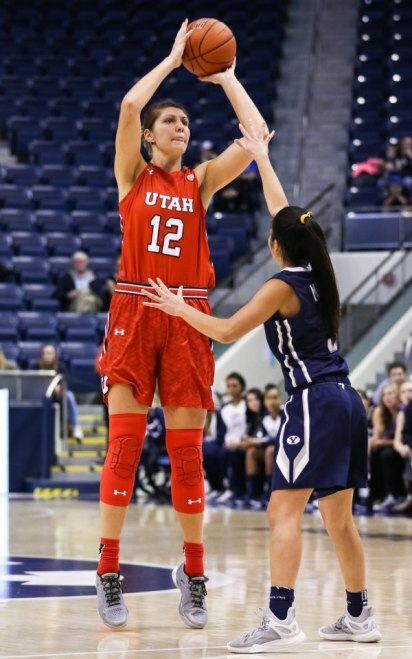 Catching the attention of post-secondary schools from across North America, Emily went on to play 4 years with the University of Utah in the Pac-12 conference at the NCAA Division 1 level. She completed a successful 4 seasons with the Utes at the same time being a member of the Canadian National Team program since 2013. She has suited up for Team Canada a number of times representing our country all over the world at internal basketball events. In the spring of 2018, she was specially invited to the WNBA's Seattle Storm training camp, marking the first time ever a Manitoba born athlete was involved in a WNBA tryout. She signed her first professional basketball contract in Poland earlier this summer. She has since returned home to Winnipeg to rehab an injury and while here has partnered with Basketball Manitoba to reach out to area schools to grow the development and awareness of the sport of basketball. You can read more about Emily on both the University of Utah, Canada Basketball and Basketball Manitoba websites. WHEN: Opportunities are open during regular school hours in December 2018 and January 2019. Future times may open beyond this initial opportunity. 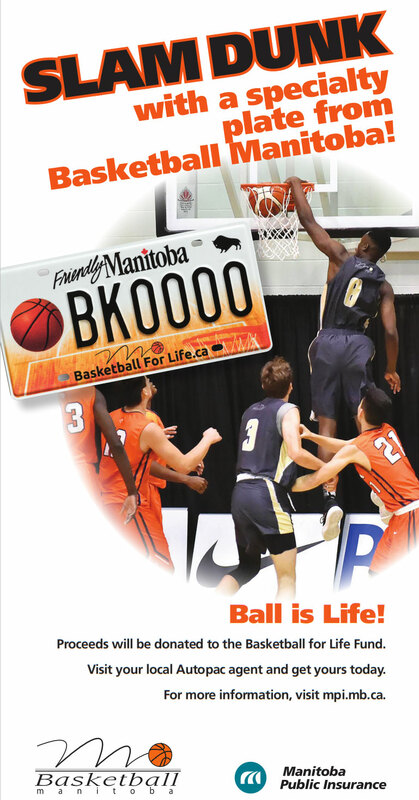 WHY: To support an area school with a unique opportunity to have one of Manitoba's most successful basketball players visit your school to promote the sport of basketball on the court and motivate students to stay healthy and active! Emily will help lead the physical education classes for the day (or set amount of time) at the school and will include her leading the students through an introductory experience with basketball including different age-appropriate skills and drills. The time will include some stories on her journey through the sport and how basketball has taken her to all corners of the world. The school will need to provide access to the gymnasium space with at least 2 basketball hoops and ideally have available 1 basketball per student. Emily will come with any other training aids to support her time in the gym with the students. Someone at the school is asked to briefly introduce Emily to the students before she takes things from there. A brief script will be provided. There is NO COST to the school or others for Emily to be present during school hours. Emily will be able to attend a set number of schools as a special guest as part of the physical education class during normal school hours and will be scheduled on a first come first served basis. Emily has completed both a Canadain Criminal Record Check and Child Abuse Registry check and proof of completion can be provided upon request to the school. Interested schools can complete the below online application form to express their interest in having Emily at the school! IMPORTANT: Before requesting a time for Emily to visit your school, please review the below request chart to see what days are available to request. Open times include Monday to Friday 8:30 am - 3:30 pm unless noted. The information is sorted by date. Interested schools can complete the below form to submit a request to Basketball Manitoba. Only requests directly from a school will be fulfilled. If you are a parent or student that would like a visit to occur at your school, please speak to your physical education teacher about requesting this for the school. Questions on the program can be sent to Jillian Kehler at 204-925-5775 ext. 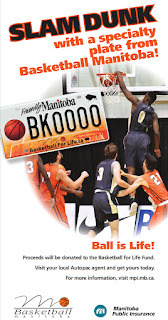 1 or by email to jillian@basketballmanitoba.ca.